You can earn 30 yards with this purchase! The Wilson Staff FG Tour TC wedges feature traction control technology which produce spin-enhancing features for all shots. 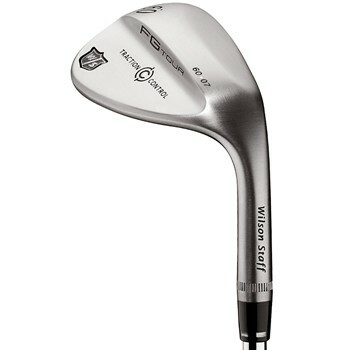 These wedges have aggressive tour Y-grooves which are milled for consistency and enhance spin on full swings. The 11 laser-etched micro-grooves between each groove, enhance spin on partial swings. The tour grind features a thinner effective sole width for players with a medium to shallow angle of attack and players who like to play a variety of shots around the green. Two sole options and nine different loft/bounce combinations exist; thus, a choice of 86 unique loft/bounce/sole configurations can be achieved through custom fitting.